Nagarkot view point (2100m) is the closest view point from Kathmandu to see the view of Himalayas, snow-caps, green hills and landscape. One day hiking to Nagarkot starts from Changu Narayan Temple. This Pagoda style temple is oldest temple of Nepal. After Nagarkot we drive back to hotel via Bhaktapur Durbar Square. Both Changu Narayan and Bhaktapur Durbar Square are listed in UNESCO world heritage site. Nagarkot is mostly popular for Sunrise view so, we can do sunrise or sunset as well. Tour includes Private A/C car, entry fee and a professional English speaking local trekking guide. Our representative will meet you and greet you day before tour day or tour day at your Hotel and explains about a tour. Our driver and guide come to pick you up at your Hotel by 8 am and take you to the places. Firstly, we drive to Changu narayana Temple, which is about 12 K.M from Kathmandu and visit the Temple. We start our hiking through the Telkot village by 10 am. We hike for 3-4 hour up to Nagarkot view point. While hiking we cross dense pine forest and pass through tiny Tamang and Newari community village and Terrace farm. During our hike we catch ruler Nepal with traditional mud and stony house and learn daily living lifestyle. 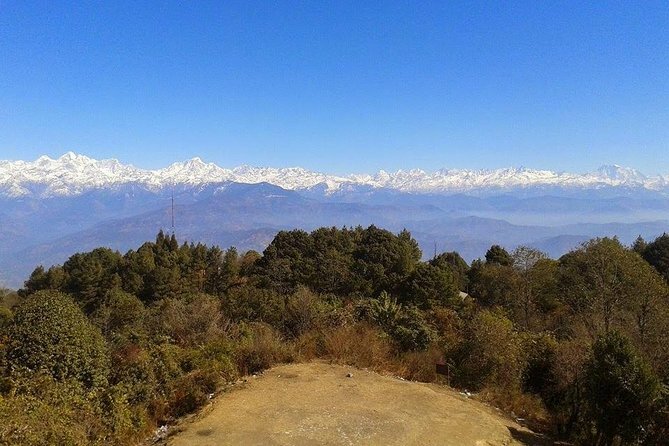 In Nagarkot we enjoy the great view of high Himalayan, green hills, landscape and small village. From the tower we spot Annapurna range, Manasl range, Ganesh Himal, Langtang Himal, Rolwaling Range, Shivapuri National Park and small village. We can enjoy our great lunch at the Nagarkot in resturent. And also have some time to explore around at your free time. Then after our driver take you to visit Bhaktapur durbar square. During the sightseeing we visit Golden Gate, Nyatapole Temple, National Art Gallery, Dattatreya Temple, Potter’s Square, the palace of 55 windows and many other famous attractions. Then we drive back to Kathmandu to your hotel by 6-7 P.M.